Come join us for Toddler Time Fun! 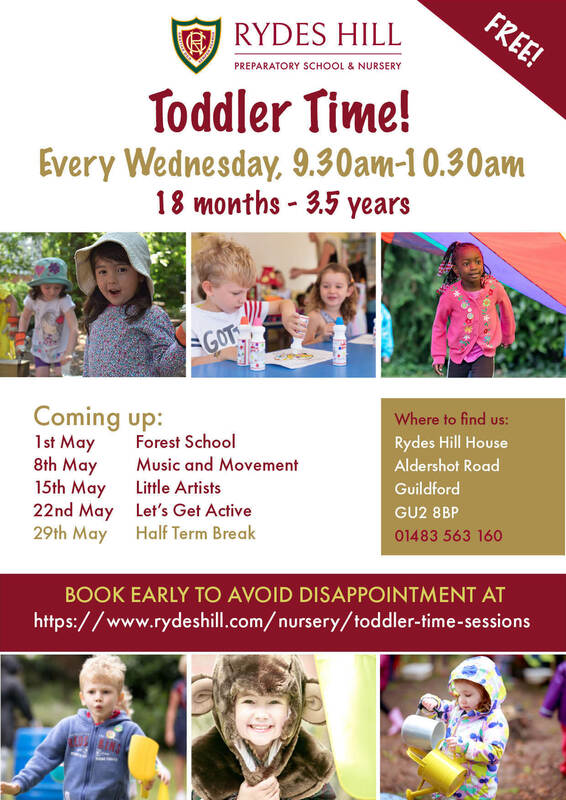 We are delighted to open our doors to parents and toddlers in the neighbourhood for our weekly Toddler Time sessions run by specialist staff at Rydes Hill and it is absolutely free of charge. Whilst younger siblings in arms are welcome, the sessions are best suited to toddlers and children between 18 months and 3 years. The poster below provides up and coming dates. To book a space on one of the up and coming sessions, simply click on the Booking Form link below to fill out your details. Booking is essential to reserve a space as we can only take up to 12 children per session.